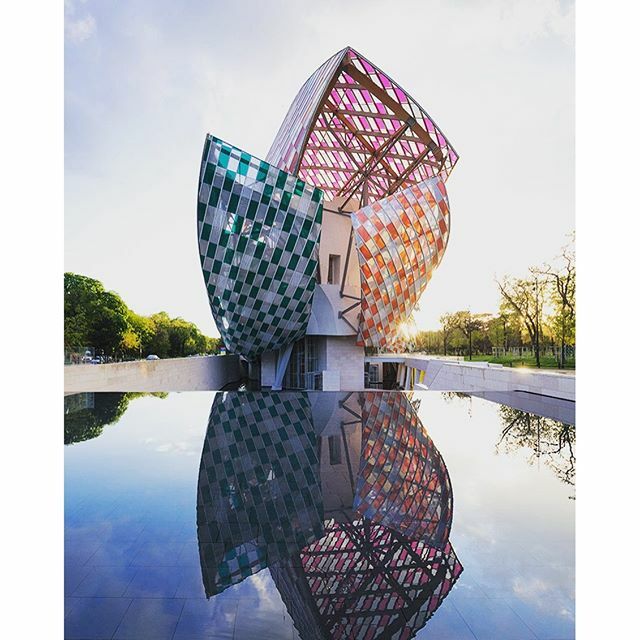 Daniel Buren installation at the Fondation Louis Vuitton. 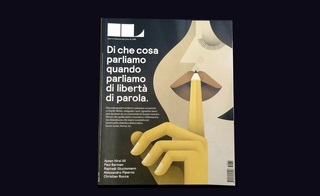 Courtesy officiel art. Whether you are traveling – or enjoying your favorite armchair – we’re sending you around the world with a round-up of beautiful art installations, major exhibitions, new museums and World Heritage sites. 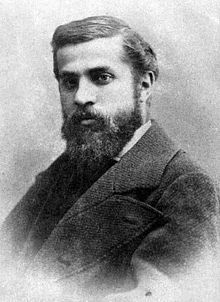 Some will last for a few months, others will exist in your memory long after. 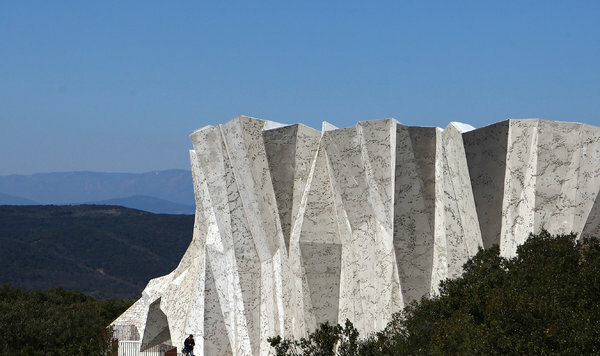 If you cannot go, there are online versions of the exhibitions and sites, catalogues, and documentary films to bring the world of art-architecture-design to you. 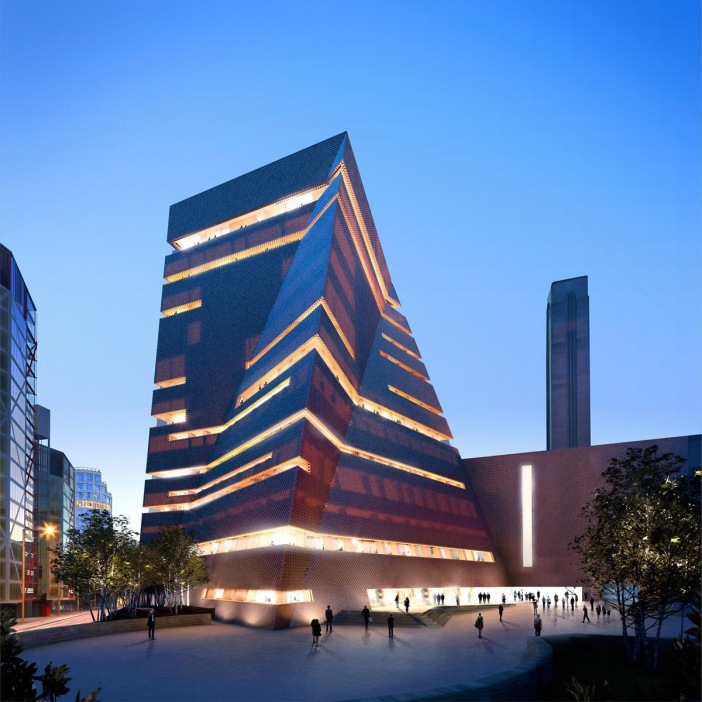 Tate Modern’s new building. 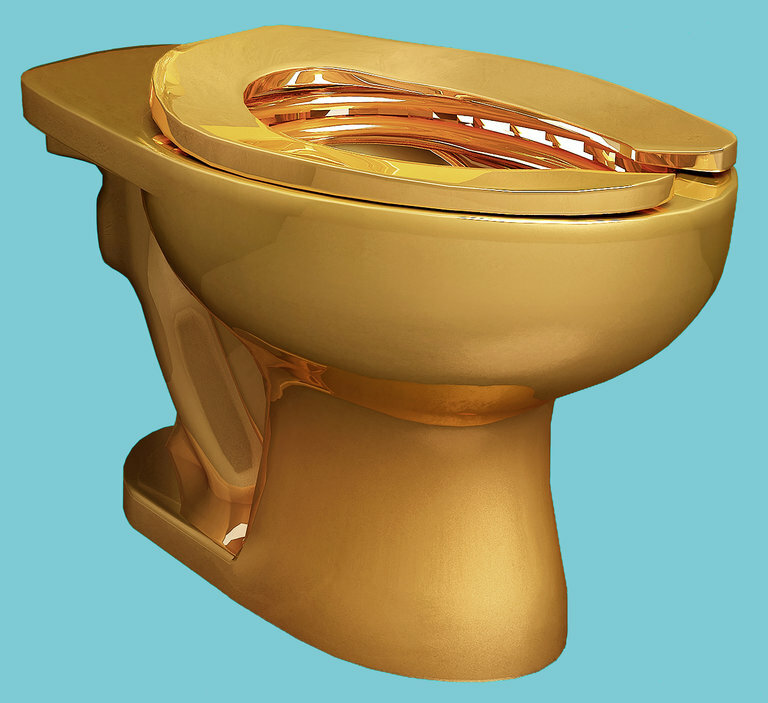 by Herzog & DeMeuron. 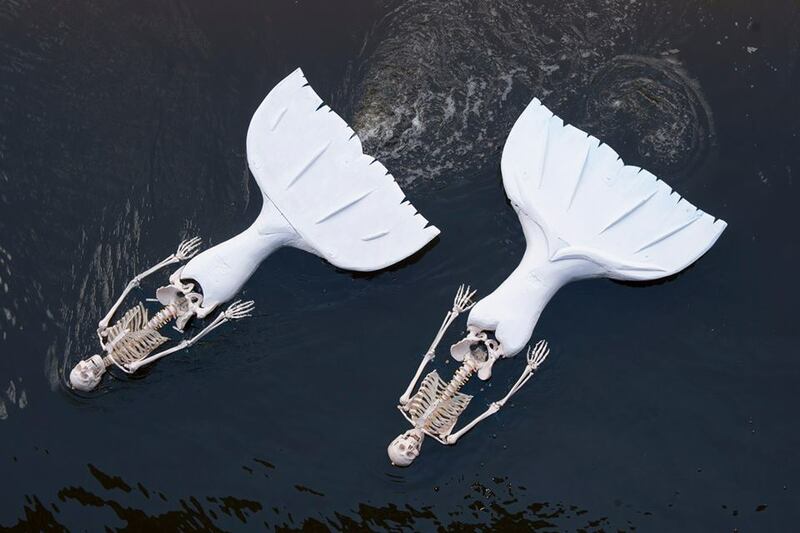 Photo copyright Hayes Davison. 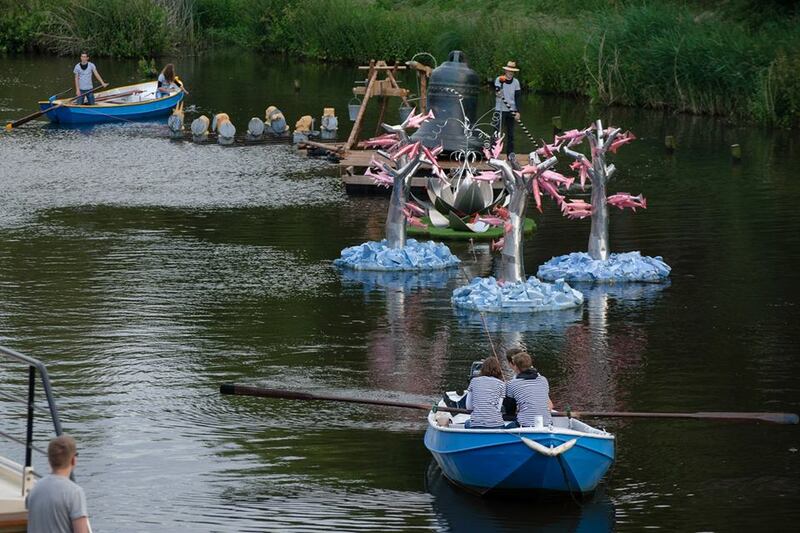 Heronymous Bosch takes a bow on his 500th anniversary – with June 16, 18-19 water-borne parades in his native Dutch town of ‘s-Hertogenbosch (The Netherlands). 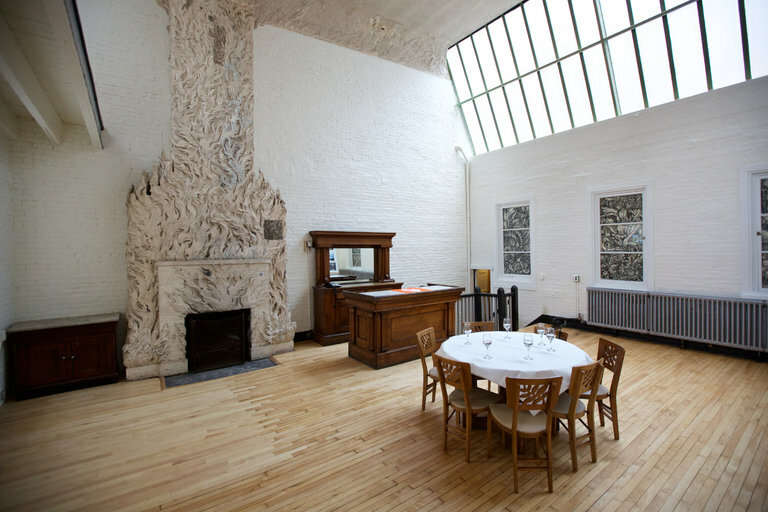 Studios of Gertrude Vanderbilt Whitney. Courtesy New York Times. 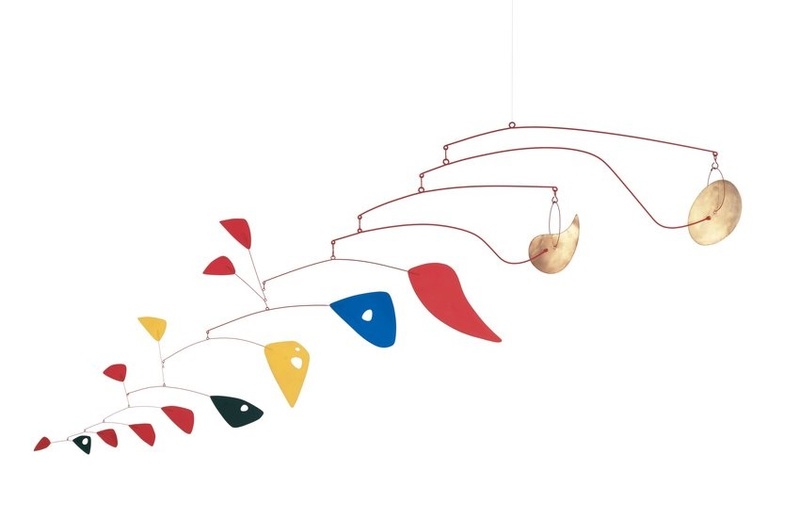 If you love Alexander Calder mobiles, stabiles and hanging pieces, then head to San Francisco for the just-opened addition to the San Francisco Museum of Modern Art. The Motion Lab Gallery features nearly a dozen of Calder’s pieces through September 10. Double Gong 1953 (mobile) in the SFMoMA collection. Copyright Calder Foundation/NYC. 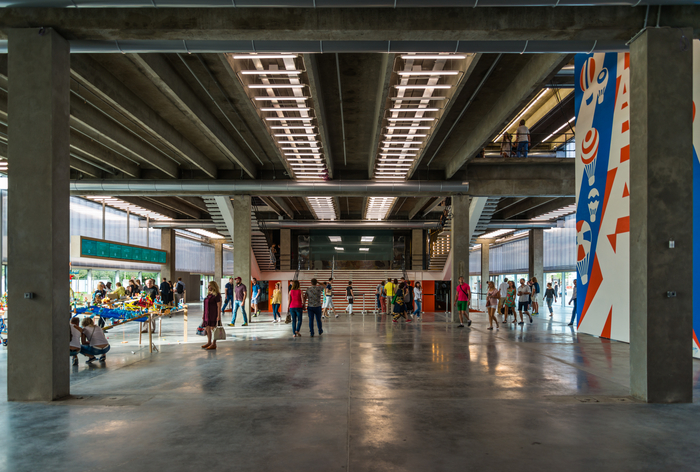 The Garage (Museum of Contemporary Art) in Moscow’s Gorky Park opened in 2015 after a groundbreaking preservation project headed by Rem Koolhaas/OMA to transform the famous Vremena Goda (Seasons of the Year) Soviet Modernist restaurant built in Gorky Park n 1968, into a contemporary museum. 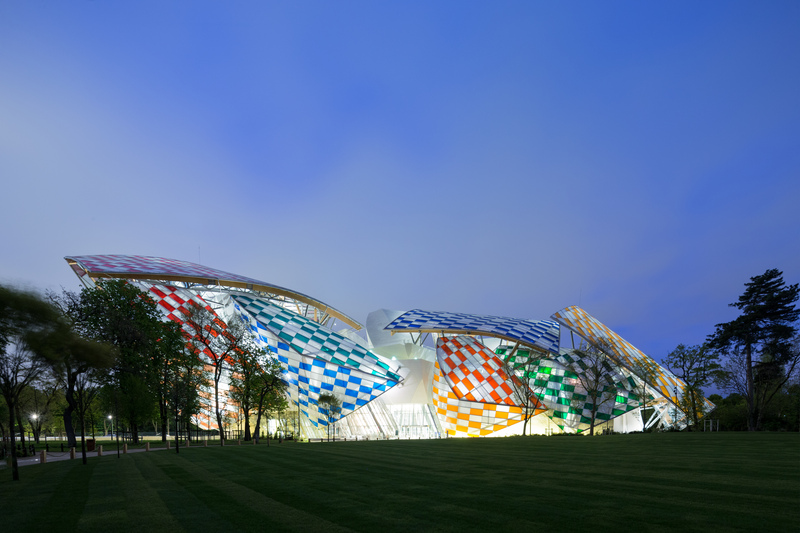 It’s the first permanent home for the museum since its 2008 founding by Dasha Zhukova. 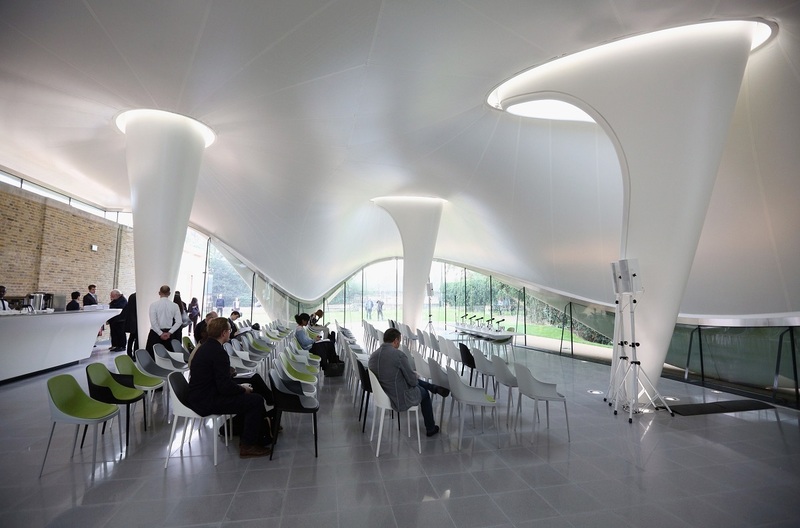 Originally housed in the Bakhmetevsky Bus Garage in Moscow, designed by Constructivist architect Konstantin Melnikov, the Garage relocated to Gorky Park, to a temporary pavilion by award-winning architect Shigeru Ban. The preservation is laudable: the original Soviet-era elements are preserved: mosaic wall, tiles and brick, while incorporating a range of innovative architectural and curatorial spaces. If you’re in Moscow, take advantage of the Garage’s free weekly walking tours of city architecture. Bicycling through Amsterdam? Or just walking, you can see an exceptional display of ceramic tiles in the Cuyperspassage at Amsterdam’s Central Station. Some 80,000 Delft tiles are installed along the walls and floor – a project by Benthem Crouwel Architects. 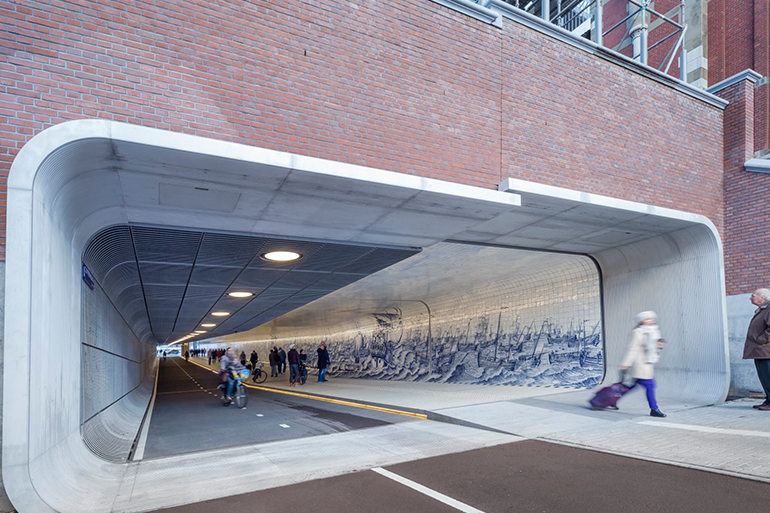 The tunnel at 110 meters in length connects the city with the Ij River – a passage used by 15,000 commuters every day. 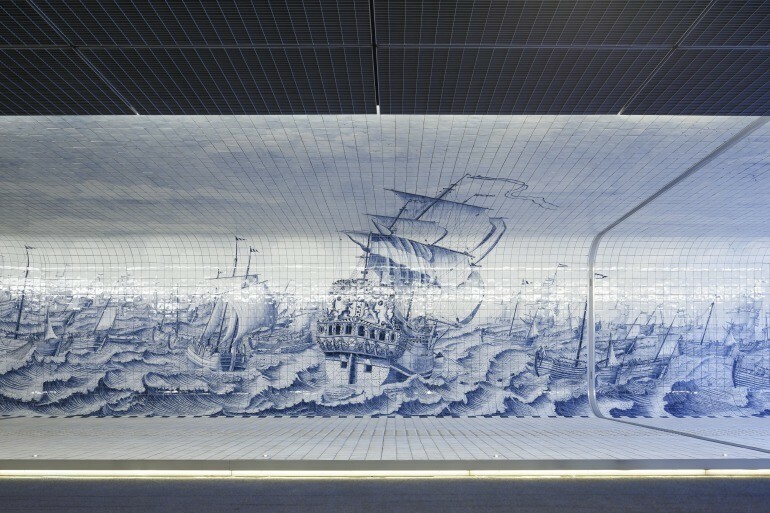 Dutch designer Irma Boom created a tableau based on a work by Cornelis Boumeester – famed Dutch tile painter – that depicts the Dutch warship Rotterdam and the herring fleet. Boom added crashing waves, small and large boats and soaring gulls to the scene. (Originals of Boumeester’s works are in the Rijksmuseum.) Follow the tunnel and you’ll see how the pedestrian side and bike side are neatly divided – with the pedestrian path elevated above the bike lane. Dutch ceramics company Koninklijk Tichelaar Makkum — the oldest company in the Netherlands, founded 1572 — made the 46,000 wall tiles plus 33,000 for the floor. And there’s a sound-muffling surface for the generously sized bike lane. Go experience it for yourself. 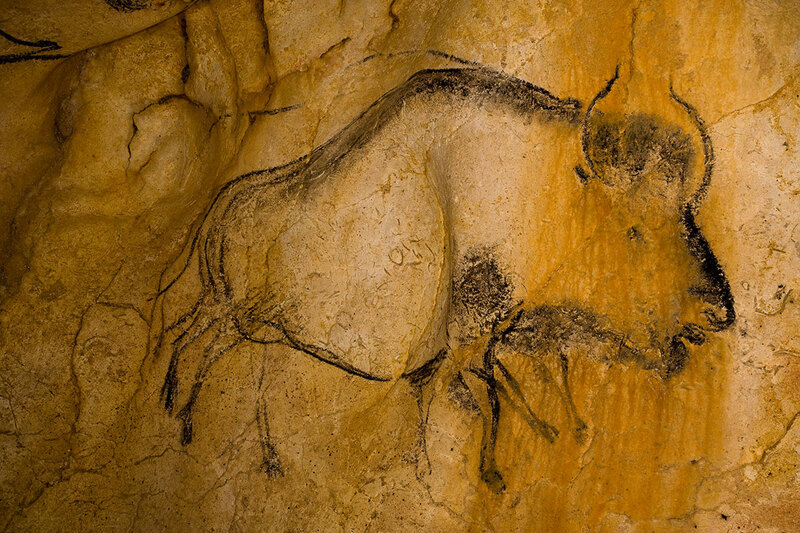 Pont d’Arc Cavern in the Ardèche France: Werner Herzog’s Cave of Forgotten Dreams (see the trailer) brought documentary film-goers in 2012 face to face with the array of bison, mammoths, lions, rhinos, horses and other creatures painted on the walls 35,000 years ago by our ancestors. There’s even handprints and spots of red that may represent blood. 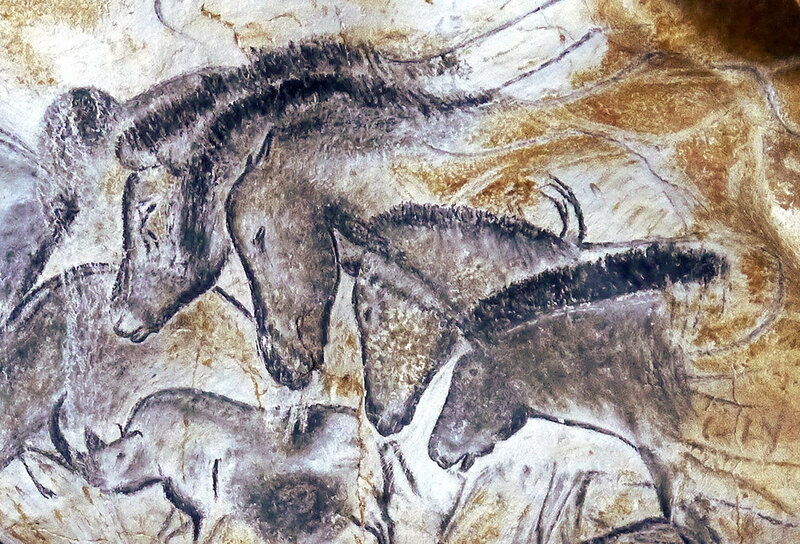 Happily, the beautiful Chauvet Cave — a World Heritage site–discovered in 1994 by three young boys, is now sealed from any further damage, unlike the famed, but now deteriorated Lascaux cave paintings in southwestern France, that succumbed to respiration and fungal damage from public visitation (Lascaux’s paintings are only half as old). Opened in April 2015, the Pont d’Arc Cavern awaits your visit! You can now experience Chauvet in a spectacular recreation called the Cavern, a massive building (football field in length). No expense was spared – this was a $59-million effort — to replicate the authentic interior environment of the Chauvet Cave, stalagmites and all, with some 400 reproductions (all hand-painted by master 21st century artisans) of the original painted animals in glorious forms and colors. 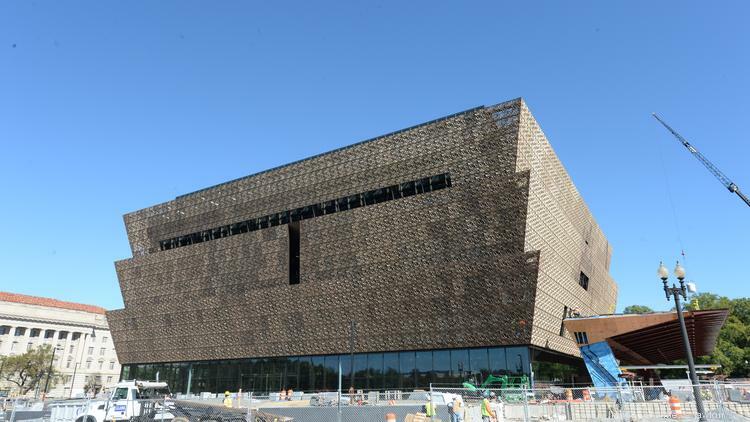 Smithsonian National African American Museum of History & Culture in progress. 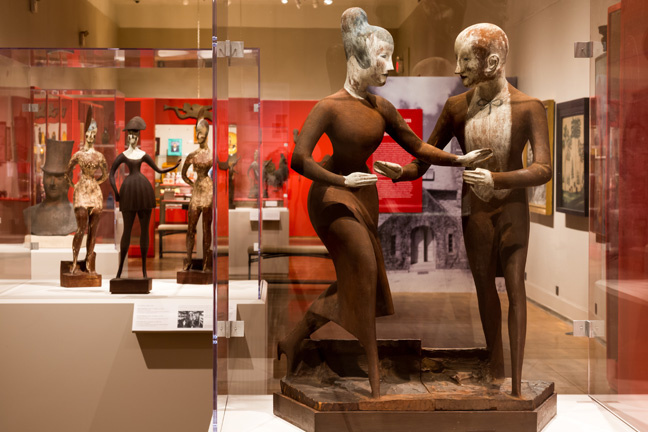 Elie Nadelman’s Tango 1920-24 installed in the folk art exhibition. Courtesy of the Whitney Museum of American Art. 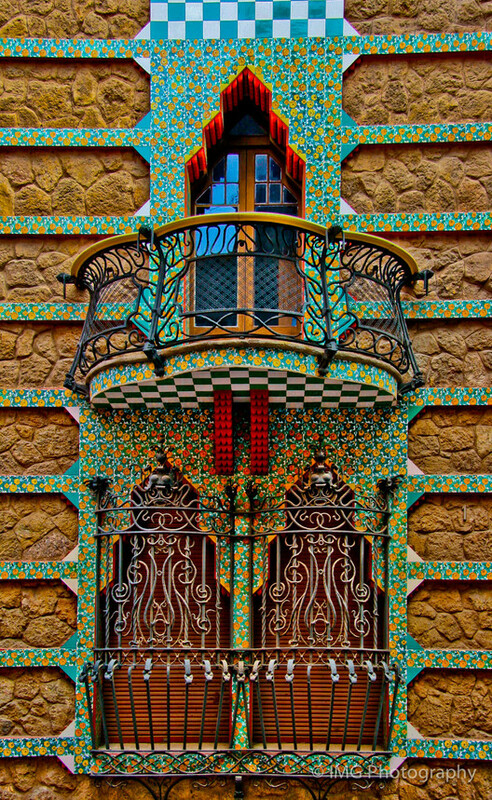 Love folk art? 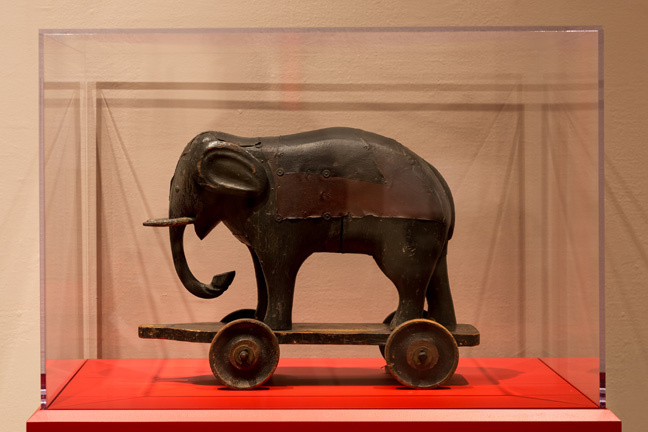 The Folk Art Collection of Elie and Viola Nadelman is on view through August 21 at the New-York Historical Society – and it’s a stunner. This is a quintessential American story: Polish-born sculptor Nadelman arrives on the Lusitania sponsored by Helena Rubenstein (of cosmetics fame), marries an heiress who shares his passion for folk art, and together they amass a collection of some 15,000 pieces from around the globe. They start the first folk art museum in the US on their estate — then 1929 occurs. The Historical Society bought the Nadelmans’ collection in 1937 – and this is the first major exhibition. 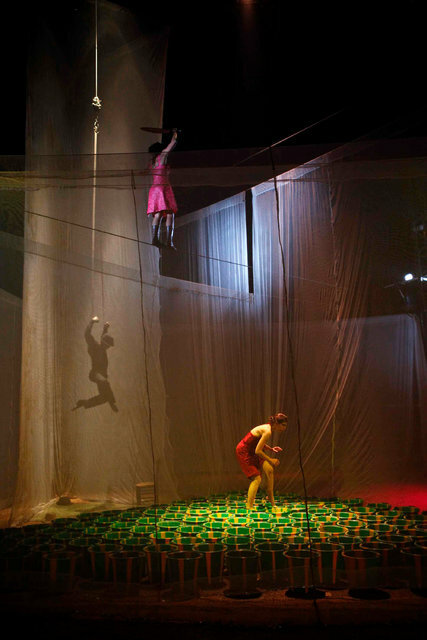 It’s called a “feast of art,” and you should run to see why. (The catalogue is a stunner too!) Read the review And check out the exhibition web site. The Folk Art Museum’s form takes on a village shape with multi-level roofs and suggests movement. Photo by Eiichi Kano. 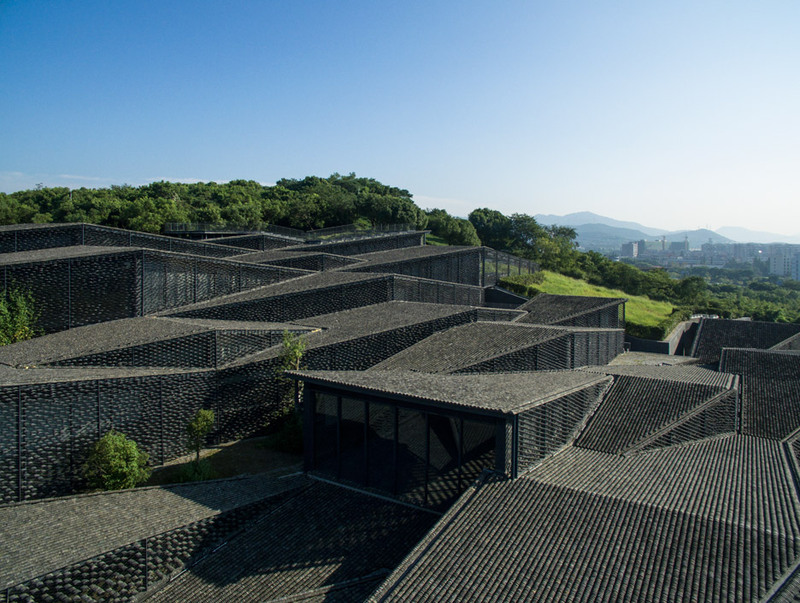 Hangzhou, a city on China’s eastern coast, features a new Folk Art Museum (2015) that stands in a former tea plantation on the China Academy of Arts campus. Kengo Kuma’s studio designed a 5,000 square meter museum in small units that appear to be small houses, each with a pitched roof, that gradually rises to a forested summit. The tiling for the roof – and for additional screening devices – all comes from discarded housing tiles – a sustainable and beautiful solution – that helps the museum fit into its area. More museums, more art, more summer adventures await in the months ahead!